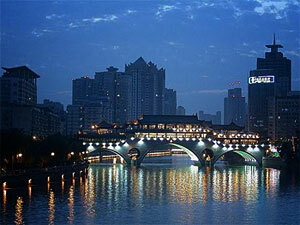 Chengdu, the capital of Sichuan province, benefits greatly from the region’s famed abundance. The food here is some of the best anywhere in the world and although most people will say Sichuan is known for spice, the truth is that flavor is at the heart of Sichuan cuisine. 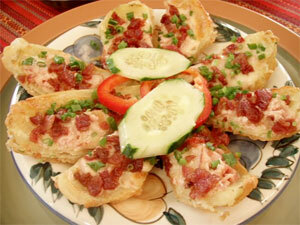 There are sweet dishes, sour dishes, hearty dishes, light dishes, sinful dishes and conscious dishes. Of course if you want chili peppers, no problem. For a look at some of the places we like the best, check out the Underground Gourmet Series, our dedicated page to Sichuan Cuisine or browse a list of Sichuan food related posts. But it’s not just food. 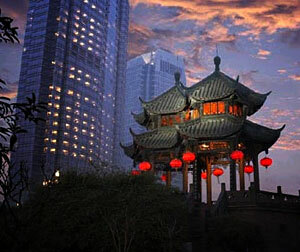 Chengdu is famous for its teahouses and a great teahouse culture that emphasizes relaxation and the art of storytelling. A lot happens in the teahouses of this city. Revolutions, business deals, passionate card and chess games, absolutely nothing but tea sipping and deep thinking for hours on end … I personally like to spend at least 12 hours each week sipping tea and doing nothing. We have a couple posts on tea on the site, check them out, or better yet, head to one of our Top 10 Places to Enjoy Chengdu and live the dream. 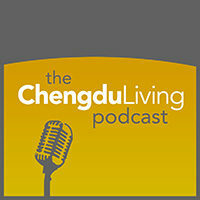 Chengdu Living is all about exploring and paying tribute to why living in Chengdu is such a great experience. We are not a travel site per se; we write about a lot of different topics, some explicitly related to Chengdu, others about living in China in general. Browse around. Check out the Forum. Leave a comment. 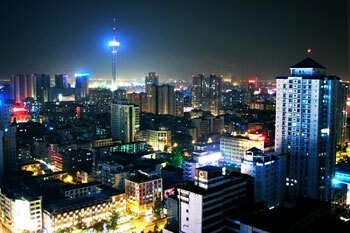 You can also read on to find out tips on where to stay, what to see, and what to eat in Chengdu. Although much of the old city has been razed to make room for modern high-rises, there is still much to see here in terms of history and culture. Jinsha Museum on the west side of the city is a great look into the origins of the city 4500 years ago. Archaeologists uncovered thousands of jade and gold artifacts – including a spectacular gold phoenix that has become the symbol of the city – and the museum does a good job of displaying everything for the layman and expert alike. Below are links to several temples and sites around town, including the city’s most popular temple, Wu Hou Ci, and the Panda Research Base, where you can get up close and cuddly with nature’s cutest bear. I also like the Antique Market, if you get a chance, head out there on the weekend. Tourists and visitors are all about the history and culture of the city – and so are the locals, don’t get me wrong – but for most Chengdunese, the big story is the dizzying pace of change taking place across the metropolis every day. We talk a little bit about those developments in this blog as well, such as the Tianfu New District, the nightlife, and contemporary society … take a look around. Chengdu sits essentially at the base of the Himalayas, where hiking ruggedly beautiful terrain is but a a few hour’s ride in any direction. One of the country’s four great Buddhist mountains, Emeishan is about a two hour drive from Chengdu and the spectacular Siguniangshan Mountain Range is also just a few hours away by bus. From the vantage point on Emei, visitors can look across the horizon above the sea of clouds and view the snowy peaks of the Himalayas. Siguniangshan is just a stones throw from Ganzi Prefecture, a predominantly Tibetan region of soaring peaks and vast grasslands. Chengdu is the Gateway to Tibet, both legally and physically. Most tour groups pass through here on their way to Lhasa and it takes 6-7 hours to get to Kangding, a Tibetan town in Ganzi that represents the border between Chinese and Tibetan cultures. Journeys south to Yunnan or north to Xian pass through here as well. One of the most well-traveled roads in China heads south (or north depending on your starting point) from Chengdu toward Kunming, through Lijiang and Dali, and into Southeast Asia. This route, a trade artery for centuries, is known as the Horse and Tea Trade route or Ancient Tea Horse Road. The road leads south to Yunnan and west through Tibet, with Chengdu as one of the major hubs. For today’s traveler, the city is no different. Trips to Sichuan’s Tibetan regions, nearby Emeishan or Leshan, to the sprawling metropolis of Chongqing and the Yangzte River or one of the beautiful spots just outside of city all begin here, in Sichuan’s capital. Whether you’re looking for luxury or low end, there are a lot of places to sleep in Chengdu and you shouldn’t have a hard time finding what you want with this concise listing. Rather than dispensing an exhaustive list of the more than five hundred hostels and hotels in Chengdu, we’ve selected three of the best budget and premium options and presented them to you. If you’d like to review a place you’ve stayed or think another hostel or hotel should be added, submit a review and we’ll incorporate your info into this page. You don’t have to spend a lot of money to stay in a decent place in Chengdu. For less than $10 a night you have a choice between a handful of locations which cater specifically to backpackers and budget travelers. Click here to check out Budget Accommodations. If you’re traveling on business or looking for luxury you’re in luck because the number of 5-star hotels in Chengdu has doubled in recent years. If you’re looking for state-of-the-art modernism or a top-rated traditional Chinese hotel, read about Premium Accommodations in Chengdu. Even with the local cuisines virtually endless variety, there’s no doubt about it: most foreigners in China still develop a powerful craving for Western food that’s fulfilled by a handful of high-quality restaurants. 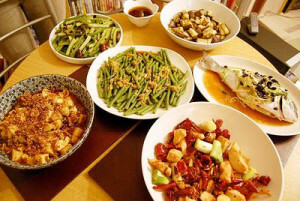 As with most places in China, a lot of the Western food that you find in Chengdu is sub-par compared to what most of us are used to getting in our home countries. Pizza is a notoriously risky choice in China as they often replace tomato sauce with ketchup and add bizarre toppings that you didn’t request. Fortunately there are a few good Western restaurants in Chengdu which serve authentic Western specialties like juicy burgers, melty nachos, fat steaks, and crispy salads. Check out our three favorites and read more about Western Food in Chengdu. Now that you’ve read our brief guide to Chengdu, how about you check out some posts on our site featuring Chengdu local information? 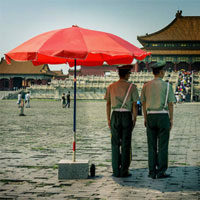 Or you can head over to ChengduPlaces.com, where we are constantly adding new locations to our Guide to Chengdu.